AMMONNEWS - Deputy Prime Minister and Minister of State, Rajai Muasher, said on Saturday that His Majesty King Abdullah II had directed the government to study the tax burden on citizens and revisit the tax law. 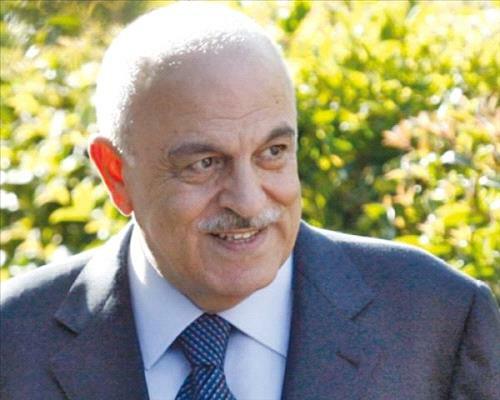 Muasher said in a meeting in the Al Hussein Youth City with political parties secretaries general and leaders that the government currently has no new income tax draft law or a precise figure for tax evasion after it withdrew the previous bill from the Lower House in late June. The deputy premier told the meeting, which was attended by the ministers of political and parliamentary affairs, Investment, Finance and the minister of state for legal affairs, that today's encounter was part of a dialogue the government had launched with the various parties concerned "to take note of their observations and proposals when drafting the bill to arrive at a reconciliation law." "We are all complaining about the tax burden. This is why we need to find a new base, and this comes through the tax law to arrive at a fair sales tax," he told the gathering. As for the fight against corruption, Muasher stressed that the new government is serious about combating graft, which will be a priority if it wins the House's confidence, and will revisit the Integrity and Anti-Corruption Commission and the Audit Bureau laws. The party leaders outlined their proposals about a new income tax bill, demanding not to submit a new formula of the tax bill that the government had withdrawn after it triggered protests across the Kingdom, and stressing the need to thoroughly examine the sales tax. They also called for supporting the agricultural sector, reducing the sales tax, combatting all forms of corruption and revisiting the state budget law to control spending. Furthermore, the party leaders called for promoting investment and creating a real environment for business through exemptions of taxes and customs fees and finding a stable investment legislation.